Visit Sussex on 16th June for Sussex Day, and celebrate the rich history and heritage of this historic county. Here you will find some of the sunniest seaside resorts in England, the rolling chalk hills of the South Downs and the wooded Sussex Weald. To the west of the county is the cathedral city of Chichester and its harbour, a collection of inlets and channels popular with sailors, boaters and fishermen. Nearby is pretty Bosham which sits on one of these inlets, and West Wittering, a popular destination for families due to its large sandy beach. Arundel is a historic town not far from the coast which is dominated by its impressive castle, the home of the Dukes of Norfolk and their ancestors for nearly 1000 years. Moving east along the coast you come to the resorts of Littlehampton, Worthing, Eastbourne and vibrant Brighton. The exotic Royal Pavilion here was built in the late 18th/ early 19th century as a seaside retreat for the Prince Regent. There are two outstanding Roman sites in Sussex. Fishbourne Roman Palace near Chichester is the largest Roman villa in Britain, whilst Bignor Roman Villa boasts some of the most complete Roman mosaics in the country. East Sussex is 1066 Country. 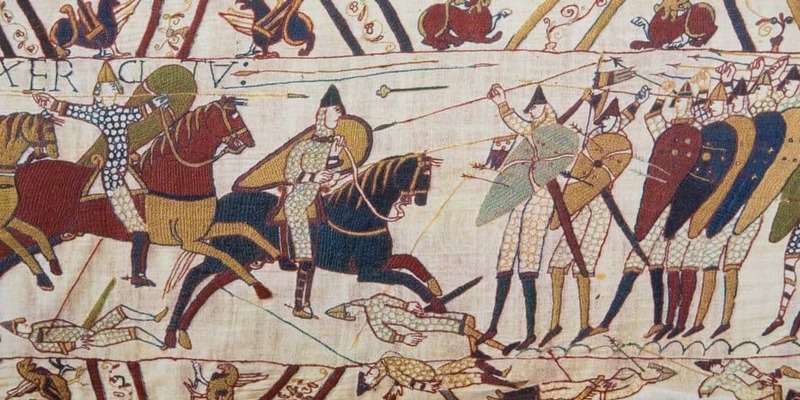 The most famous battle in British history, the Battle of Hastings, took place here in October 1066, not actually at Hastings but a little inland at Battle. Battle Abbey was built by William the Conqueror on the spot where Harold is reputed to have died. In the east of Sussex you will also find the historic Cinque Port of Rye, no longer on the coast but a couple of miles inland. Rye is one of the best preserved medieval towns in England, home to the famous cobbled Mermaid Street. Nearby Camber Sands is a popular beach backed by sand dunes. Inland Sussex is a county of country lanes, sleepy villages, woods, fields and downs. For walkers and ramblers, the South Downs Way and the Monarchs Way pass through Sussex. Sussex has a rich tradition for local food and drink. It is well known for its cakes and biscuits such as Sussex Lardy Johns and Sussex Plum Heavies. Sussex Pond Pudding is a steamed or boiled pudding made from suet pastry, baked with a whole lemon inside. There are also local breweries and vineyards producing award winning wines. In this seaside town, where the sea is nearly two miles away, explore the labyrinth of cobbled streets all steeped in history, secrets stowed away, ghosts uncovered. The story of how Duke William of Normandy invaded England in 1066 and effectively ended Anglo-Saxon rule in Britain.